The Garage Shefford Limited. (“We”) are committed to protecting and respecting your privacy. 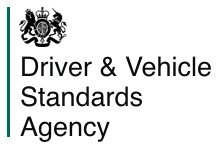 For the purpose of the Data Protection Act 1998 (the Act), the data controller is The Garage Shefford Limited whose registered office address is at The Quadrant Centre, Limes Road, Weybridge, Surrey, United Kingdom, KT13 8DH. Information that you provide by filling in forms on our site www.thegarageshefford.co.uk (our site). This includes information provided at the time of registering to use our site, subscribing to our service, posting material or requesting further services. We may also ask you for information when you enter a competition or promotion sponsored by The Garage Shefford Limited, and when you report a problem with our site. If The Garage Shefford Limited or substantially all of its assets are acquired by a third party, in which case personal data held by it about its customers will be one of the transferred assets.